The single most important factor directly or indirectly determining economic growth, budget deficit, unemployment rate and affordable health – is exploding healthcare costs. The single most important factor driving the skyrocketing healthcare costs are the expenditures for pharmaceutical drugs. If the majority of these drugs would target the prevention and elimination of diseases these expenses may be justifiable because they would eventually lead to fewer diseases – followed by less costs. The facts, however, are the opposite: a). With few exceptions, all prescription drugs currently marketed in the US and other countries do not address or eliminate the root cause of diseases, they – at best – ameliorate symptoms. b) More than 40% of the prescription drugs currently taken by patients in the US are potentially carcinogenic – i.e. they can cause cancer. c) The known deadly side-effects of prescription drugs in the US are the third leading cause of death, surpassed only by mortalities from cardiovascular diseases and cancer. 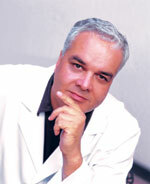 A case in point is chemotherapy applied to cancer patients – allegedly to control cancer. The most frequent side-effect of chemotherapy, however, is the generation of new cancer – due to the toxicity of these drugs. The explanation for all these facts is straightforward: The pharmaceutical industry is a giant investment industry that has defined diseases as markets. Worse, the entire existence of this industry is based on promoting and expanding these markets – i.e. diseases. To mask this giant deception – offering health but promoting diseases – the drug industry has been hiring lobbyists in all areas of society, including medicine, media and politics. Particularly devastating is the role of politicians that are politically or financially entangled with these interests. Mandated to protect the health of their constituency, they are tempted to promote the “business with disease” instead. 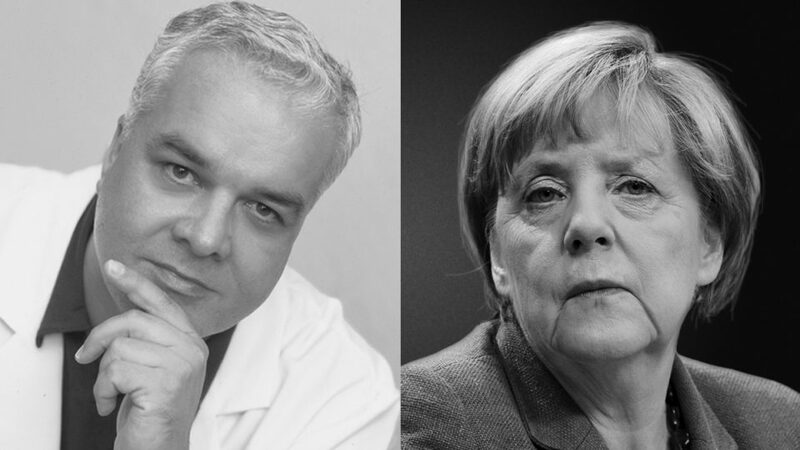 For more than a decade, Dr. Rath has been a voice of conscience exposing the global scheme of the pharmaceutical drug Cartel and its unscrupulous “business with disease”. Not surprisingly, he has been attacked by the drug Cartel media the world over. For their civil courage Dr. Rath and his Foundation received the prestigious ‘Relay of Life’ Award from survivors of Auschwitz and other Nazi concentration camps. The Dr. Rath Research Institute in Santa Clara, California is a world leader in science-based natural approaches to cardiovascular disease and cancer. All activities of the Dr. Rath group belong to a non-profit parent organization. By taking this decision, he is deliberately paving the way for a new health care system that can finally focus on the prevention of diseases – and is no longer doomed to feed the insatiable greed of the pharmaceutical investment business thriving on the continuation of diseases. The pharmaceutical investment industry promises health, but its entire existence is dependent on the continuation of diseases as markets. Thus, drug companies pay hundreds of millions to lobbyists in medicine, media and politics to promote their “business with disease”. 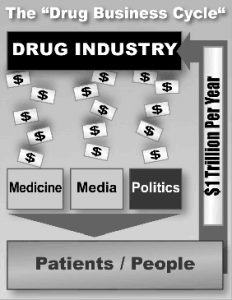 In return, the drug industry is making global revenues of close to one trillion dollars per year. Mitt Romney, through his investment funds, owns shares in and profits from drug giants like Pfizer and Merck, as well as Mylan and Watson Pharmaceuticals. His running mate Paul Ryan’s wife Janna has even worked as a paid corporate lobbyist for the pharmaceutical drug industry in Washington D.C.
Just imagine what will happen to your health and your health care bill if they enter the White House. Many politicians – some of them showing off an aura of integrity – are, in fact, deeply entangled with the drug investment business. 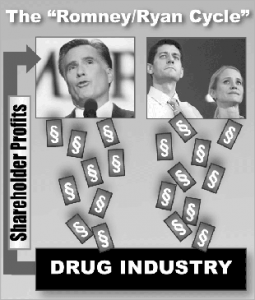 Mitt Romney is shareholder of several drug companies. The wife of his running mate Paul Ryan worked as a paid lobbyist for the drug investment business. In return for share­ holder profits, these politicians will promote the “drug business with disease” by all legal and economic means possible – including from the White House. The pharmaceutical industry is not a health industry, but an investment business. Its primary focus is not to increase the health of the people – but the shareholder value of its owners. The pharmaceutical industry is not a naturally grown industry – but an artificially created investment business launched more than a century ago by globally operating financial groups. The defined market place of the pharmaceutical industry is our body – but only as long as it is sick. The key legal tools and economic instruments on which this multi-trillion dollar investment industry is built are patents. They allow the drug makers the arbitrary fixing of their own mark-ups (“royalties”) for a new drug which are a driving factor for exploding health care costs. Because patents are only granted for new, synthetic molecules, the drug industry focusses its research on developing synthetically designed, patented chemicals – and markets them as prescription drugs. Most of these chemical substances are unknown to the human body which considers these ‘foreign’ substances as toxins and eliminates them. Thus, the principle of patenting is ultimately responsible for the epidemic of dangerous side effects caused by prescription drugs. In order not to endanger their multi-trillion dollar disease markets, the pharmaceutical companies almost exclusively develop drugs that merely ameliorate symptoms – but hardly ever correct the root cause of diseases. Based on this deceptive strategy, the investment circles behind the pharmaceutical investment business have been able to portray themselves as global “purveyors of health” – while, in fact, thriving on the promotion of diseases as the basis of multi-trillion dollar drug markets. Thus, by its very nature – the pharmaceutical business model is a giant fraud: It promises health to the people and the governments of the world but its entire existence depends on the continuation of the “business with disease”. This principle is the reason why today’s most common diseases, including cardiovascular disease and cancer continue in epidemic proportions. To disguise the deceptive nature of the pharmaceutical business the drug companies maintain an army of lobbyists in medicine, media and politics. 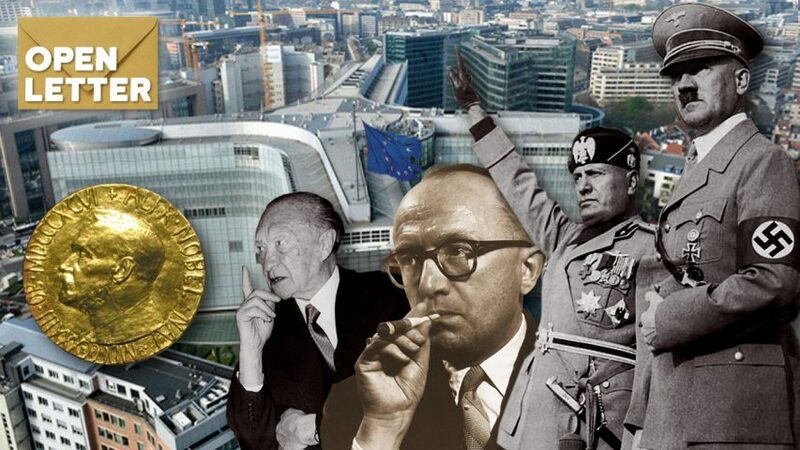 Their role is to portray the pharmaceutical industry as “Mother Theresa” – as a precondition to be able to channel hundreds of billions in public and private “health care” funds to continue financing the “business with disease”. 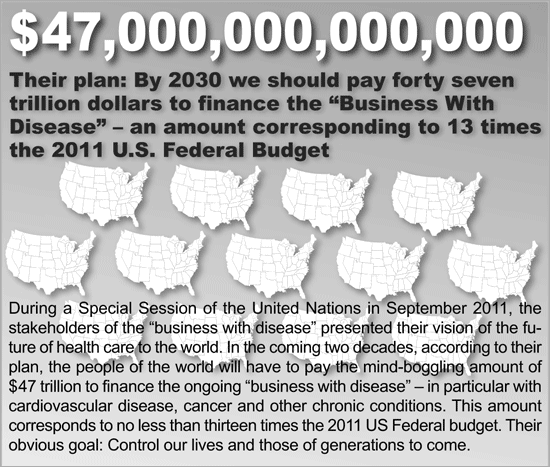 The human and economic consequences of the “business with disease” have been devastating. Over the past century, hundreds of millions of people have died prematurely from cardiovascular disease and other health conditions and trillions in health care costs have been spent for diseases that may have been largely preventable. The biggest threat to this giant investment business thriving on maintaining diseases as markets are health care strategies that aim at the prevention and elimination of these diseases. Any preventive health approach is being heavily fought by drug lobbyists because it threatens to diminish or extinguish their global markets – i.e. diseases. In few other fields of medicine has more progress been made in recent years than in the field of science based natural health. Micronutrients and other biological molecules have been shown to be highly effective in helping to control cardiovascular disease, cancer, osteoporosis and many other health conditions. This development threatens the drug companies in multiple ways: First, these biological molecules are – unlike high-priced drugs – not patentable and yield much lower profit margins. Secondly, due to their biological nature, these molecules are helping to regulate the metabolism of cells, and – unlike synthetic drugs – help prevent diseases at their cellular root. Thirdly, science-based natural health approaches threaten the global monopoly of patented drugs that the drug industry wants to impose on the United States and other countries. To thwart any threat to the pharmaceutical investment industry, the drug companies heavily “invest” in politicians who – in return – protectionist legislation and regulations allowing the deceptive “business with disease” to continue – despite its devastating consequences. Most importantly, without this analysis – and without understanding the essence of what is wrong – the people of the United States and beyond will not be able to create a new, effective, safe and affordable health care – with a clear focus on the prevention and elimination of diseases. The above “Laws” of the drug industry are so evident that they can be understood by fourteen year old school children. Even though the health and the future of these children will be directly affected by these “Laws” – they can not yet vote for change. You, the parents and teachers, should take responsibility. We are confident that the information provided on this page will help you make the right decision in the 2012 Presidential Election. We encourage you to forward this information to friends and colleagues who may not know these facts either. If you want to do that via Email, you can find a digital version of this page on the top and the bottom of this page.